They decided to take on this idea together. Notebooks and pencils ready in a bookstore in the Middle East, they kept going back and forth on what the brand would be about, and most importantly what they would call it. Somehow conversation took a turn about life experiences and nostalgic wild anecdotes. Lana spoke about someone she knew who had an exceptionally colourful youth and how he threw his twenties away. It was an absolute aha moment! 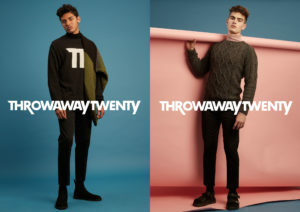 Naturally it was a concept they could relate to, and ‘Throwaway Twenty’ was born. A coming of age story second time around. 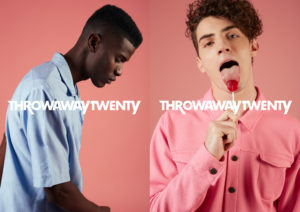 Throwaway Twenty is an unapologetic menswear brand for boys and guys. We are all about offbeat and suave design with a youthful tongue in cheek point of view. 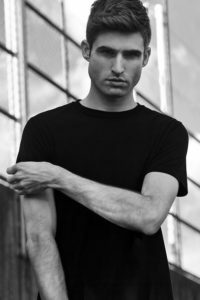 From classic menswear that is boyish at times to unrepentant raw statement pieces. It embodies everything we love and is the golden thread that runs through all our garments and everything we do. 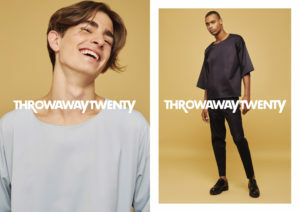 Throwaway Twenty is about making the best mistakes. It’s about being mischievous, gutsy and unapologetic on a road to rediscovery. It’s about taking the underdogs along on the journey and coming home reborn showing the rest how we’ve lived and how we live now. It’s for everyone who needs a comeback story. It’s for the fighters, the dreamers, the lovers, the poets, the charmers, the players, the courageous, the lost, the crazy stupid and the next generation.